ADVENTURE IN THE AIR: Mount Gambier University of the Third Age members take in the stunning scenery below from a hot air balloon over the Murray River. A GROUP of 25 Mount Gambier University of the Third Age members travelled to Nuriootpa for their annual getaway late last year. 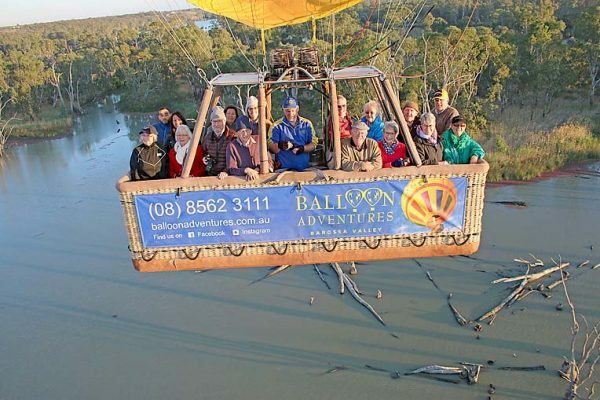 After a 4.30am start, members of the group embarked on a five-hour adventure in a hot air balloon from Blanchetown over the Murray River, taking in amazing views of the countryside and wildlife. A champagne breakfast followed the early morning adventure.